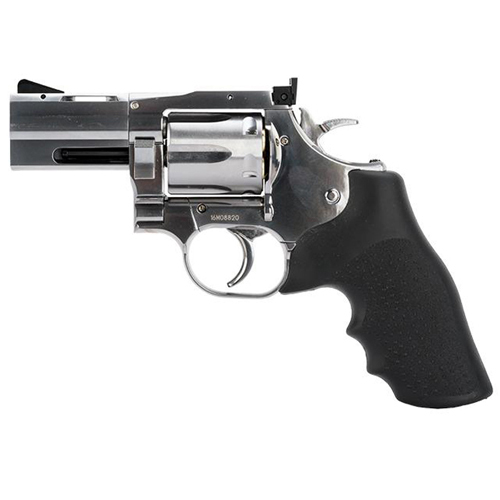 This compact Dan Wesson 2.5 inch silver revolver offers realistic shooting fun in a handy size. It has authentic markings and an individual serial number stamped into the frame. The revolver features a double action trigger system and adjustable rear sight for extra realism and accuracy. The DW715 marks a new benchmark in pellet revolvers. It allows for quick and easy rear loading of cartridges – meaning that cartridges do not have to be removed from the drum when reloading.